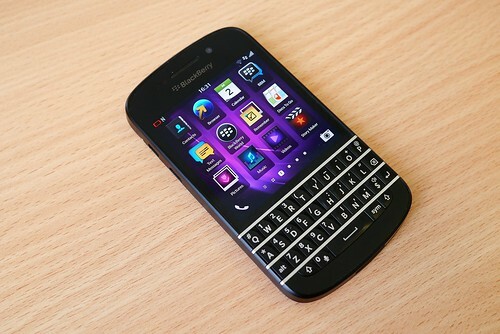 The Blackberry Q10 is the new standard for smartphones. The iconic QWERTY keyboard on the is bigger and easier than ever to use and the device boasts the largest battery of any Blackberry previously manufactured. It’s everything Blackberry users love with a sleek, durable design and new time-saving features that will win any user’s heart. Those looking for smartphones online will also need to search for apps to load onto their new phone. There are also dozens of fun and interesting apps available for the Blackberry Q10. Here’s a rundown of some of the best apps to keep you organized, entertained and in the social flow. 360 Panorama is easy to use and does one thing: takes breathtaking panoramic pictures. This app found a spot on Crackberry’s Editors Choice App Gallery for good reason. It takes seamless panoramic photos that are simple to view and share. You practically need a map to find all the map apps available for your smartphone, but Blackberry Maps is the best. Why? Its turn-by-turn navigation is user friendly and it offers 2D maps, local search and loads of customizable options. According to Blackberry World this map app is comparable to a high-end GPS system, except this one is free. CB10 keeps you current on all the news and reviews for the Blackberry Q10. With this free app you can chat in forums with other Blackberry Q10 fans, shop for accessories or learn all the tips and tricks that will forge an unbreakable bond between you and your smartphone. WhatsApp is the best communication app if you have friends and family members living in other countries. With WhatsApp you can give and receive messages, send images, video and voice notes all for free. The app automatically connects your address book with any contact that’s also using WhatsApp. Angry Birds Star Wars is hitting everyone’s must-have list, and why not? It combines two of the most iconic pantheons ever known to man. With Angry Birds Star Wars you’ll face Darth Vader, wield your lightsaber and maybe even reach the level of a Jedi Master all for the good of the galaxy. Expense Manager turns your Blackberry Q10 into a personal accountant. Features include expense tracking, multiple account options, data export, payment schedules and payment alerts, receipt organization and financial reports in your choice of bar, pie or graph charts. Expense Manager is a multi-use organizer for business or personal records. With the Blackberry Q10 you can download apps that enhance almost every aspect of your life and add value to your device.